For a relationship to be healthy, you have to be able to talk; talk about anything. And generally, it’s best to talk about the offending situation the moment it blips across your radar screen. You know exactly when that remark or that attitude or that look sent you a message that didn’t agree with your mental harmony system. You know, right? So why would you put that message on the back burner or worse fear the repercussions of bringing it up? In fact, with people you care about and especially those you love, you owe it to yourself and them to always bring it up. Often young married couples, for fear of offending or worse, losing the object of their affections, choose silence, only to discover later that the initial offending issue not only comes back, it comes back with hair on! Bring it up. If it leads to a big argument, so what. It’s better to have the mother of all arguments than to pretend you are okay when you are not okay. It’s better to have the war and come to an agreement than to avoid the war and live amidst the constant skirmishes. Peace often comes after the war, right? 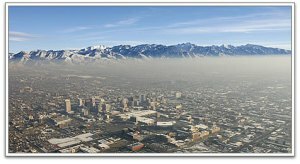 Like an inversion, allowing pollutants to stay in your mental air risks the health of your relationship. Maybe you need a quick storm or two. Maybe. People often seem to think that harmony in a relationship comes from letting things go. Oh sure, there’s nothing wrong with compromise, as compromise helps maintain a relationship, but letting things go is always bad news. Being married for many years now, I can tell you with complete confidence that every issue you bury under the guise of keeping harmony is going to come back with a vengeance and unreasonably all together in one moment of time. That one fight on that one bad day will turn into a floodgate of unresolved issues seeing the opportunity to finally get out of your heart. And like a pressure boiler that takes on more pressure than it can handle, it’s gonna blow boy and blow at catastrophic levels. So take my advice and speak up often. None of us want to hear the things we have done wrong or hear extolled to us our faults and our failings. None of us look forward to that conversation ever. But always hidden within that conversation, if we have ears to hear, is some gem of truth that speaks to our hearts. In the middle of all that anger and yelling and accusation sits a little minuscule, almost unnoticed piece of truth that alerts our battered heart of some wrong done; some sensitivity walked over; some selfishness we have engaged in. And when we see it; when we finally see it and feel remorse over the thing we have done, healing takes place; a healing that transcends many, many infractions. That my friends, is the point of the discussion, the fight, the argument, or whatever. In a sense you are kicking up the winds that will eventually blow that inversion out of your way so you once again see clearly. How many relationships have come to an end because we didn’t love enough to say what needed to be said? How many breakups could have been avoided if we had the honesty to say what really was. Now to those of you who have already loved and lost, I offer the following. There’s a bible verse that tells husbands to love their wives and be not bitter again them. Bitterness comes unannounced from a multitude of unresolved hurts be they ever so slight. Bitterness is born of the small many, not of the large few. But once bitterness takes root, it takes on a life of its own and permanently blinds a heart that once could see and feel and experience. In it’s bitter state it is now poisoned and goes on poisoning everything it comes into contact with until it ruins the person completely. Don’t let that be you. Stop rehearsing the past hurts, the wrongs done to you, the pain. Stop carrying around in your memory those unbearable weights. Instead allow yourself to start again; to start over. Resolve in your heart that you will never allow that to happen to you again. If you can still speak those words you have buried for so long, speak them, though the hearer be long past listening or understanding. If not, speak them to God alone and be now done with it, forever… You are worth that. 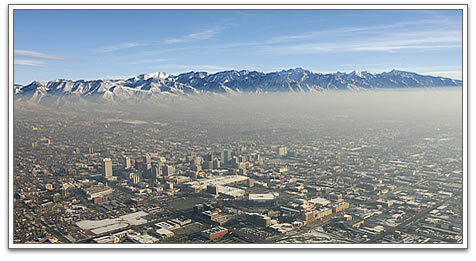 Inversion air is hard to breathe and puts your health at risk. 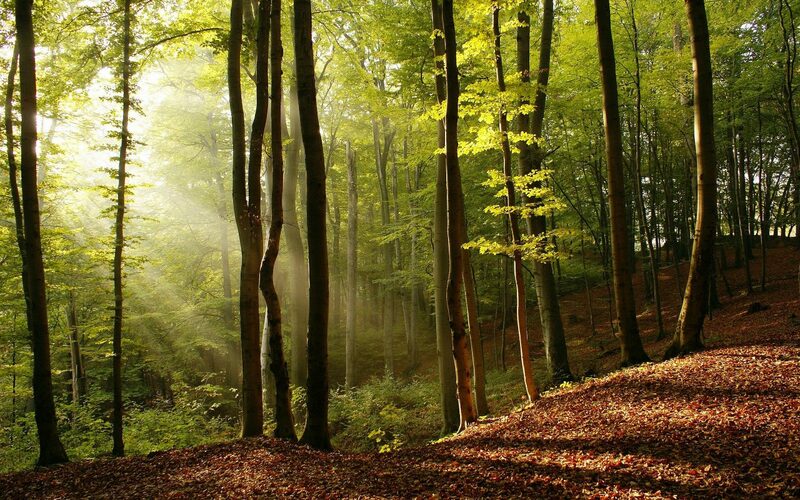 Poison cannot exist where there is fresh, clean air. Clear the air between yourself and the people who you care about. Speak up about the things you hold most dear. Forgive where forgiveness is needed and be the person you always wanted to be. You can. You should. You owe it to yourself. Ah what is that I’m feeling? The feeling that comes from finally breathing a breath of clean, pure, fresh air… And it feels so good! I know what you are thinking… Man all this dude ever writes about is fear! Well, that’s for good reason. The number one problem you have, recognized or not, is fear. Fear is what holds you back. Fear is the great thwarter of dreams and plans. 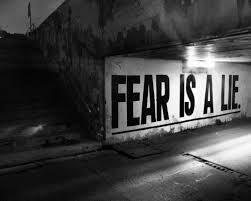 Fear is the cause of your negative effects. Fear!!! So, indulge me yet again and hear what I’m saying. Fear has ruined more men’s lives than all other things combined. Fear isn’t just that terror that shows up when you see a bear. Fear is often much more subtle than that. It shows up as hesitation and procrastination; anxiety attacks, frustration and even anger. And, you have got to kill it off man, if you want to be happy. So, more stuff to think about, right? Shocking statement number one – believe it or not, fear is actually a decision. That’s right! It’s not something that just happens and you have to wait it out. Nope! It’s a decision you are making. You (your mind) is presented with some negative variable; some dreadful potentiality, and depending upon how well that threat relates to you as being possible, fear follows. You aren’t really afraid of the mountains blowing up while you climb them, but maybe so if it is a volcanic mountain. So, how fear hits your mind will always be somewhat relatable to you and your experiences. That shows you that something sinister is behind it. Anyway, when you get confronted with that fiery dart of negativity, you have a decision to make. Oh, you don’t feel like you need to make a decision, but you do. You have to decide IF that thing can happen to you. And sadly, the more you mull it over in your mind, the more ground it gains and the more believable the fear becomes. To win the contest, and it is a contest, you have to believe that whatever is presented is not going to happen to you. This is where God enters the picture. If you believe in God and His love and protection of you, you can dismiss that fear by claiming a promise in God’s Word that counteracts that fear. Side note – every potential fear that you will ever be confronted with has an antidote in God’s Word. Or, if the promise escapes you, you can always pray about it and even ask God for an answer of peace. Without God the world is going to be a very scary place. In fact, absent any belief in God’s ability to do things, you can pretty much be assured of a life full of fear. There is another aspect of fear we should consider. Those particular fears that have been plaguing you or have been following you around for a lifetime, are the worst types of fear. You can spot them fairly easily because they represent the sole cause for where you struggle the most. It’s not the circumstances, your upbringing, your family, your lack of money or your gene pool. It’s fear! The reason that they are clinging to you like a hair shirt is because they have gained a stronghold in your thinking. Yes, they started as a foothold, but because of your insistence on allowing them entrée, they became a stronghold. In the military when we speak of the enemy having a stronghold, we mean he has a strengthened, fortified position. Well, fear in like fashion, is an enemy (something sinister) that has built a fortified position in your head. Now, hear me out because this might make you angry. The reason that you still have certain fears is because of your ego. (Argghhh – I know!) You are stubbornly clinging to what you think you know is true, because you just know! Even if God Himself told you audibly that it was just a lie, you wouldn’t believe it because you know better! I mean after all, haven’t you heard the news reports? Have you not studied the latest scientific research? Are you asking me to completely disregard the current medical findings? Yes, yes and no, of course not! What I’m asking you to consider is that there is something, someone far greater in ability than men and what men say. Isn’t it even remotely possible that what the world promotes as true cause and effect isn’t really the cause that produces the effect? (Let that simmer…) So, the reason certain fears defeat you on an epic, chronic level is because you are refusing to let them go. You, my friend, are refusing to change your mind and just decide they aren’t true. Fear is always a lie; always wrong and always an illusion. The enemy works hard to get you to fear because fear is believing for something to happen in the negative. And believing equals receiving, as the saying goes… Thus, the first step in overcoming fear is to admit you have it. If you catch yourself telling some scenario over and over that you aren’t afraid of it – you are. Once you acknowledge it by being honest with yourself, you are finally on the way to overcoming it. Next find something good that God says concerning it and cleave to that. Every time you think of your situation or condition, claim that promise until the fear is gone. And finally, get sick and tired of being sick and tired. Make a decision! Decide you are over being afraid of ____________, and move ahead. You will find, surprisingly, that once you stop giving “it” airplay, it just sort of dies out. It dies out because it was a lie to begin with!